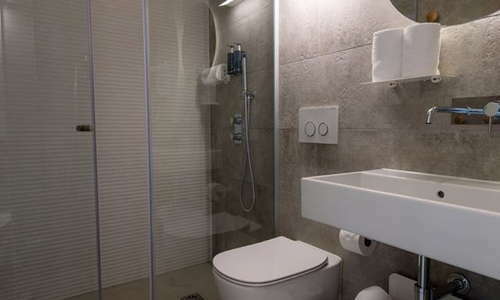 YOU SHOULD KNOW At the time of writing (June 17) ongoing refurbishment was in operation at the hotel, limiting the use of some of the common areas. 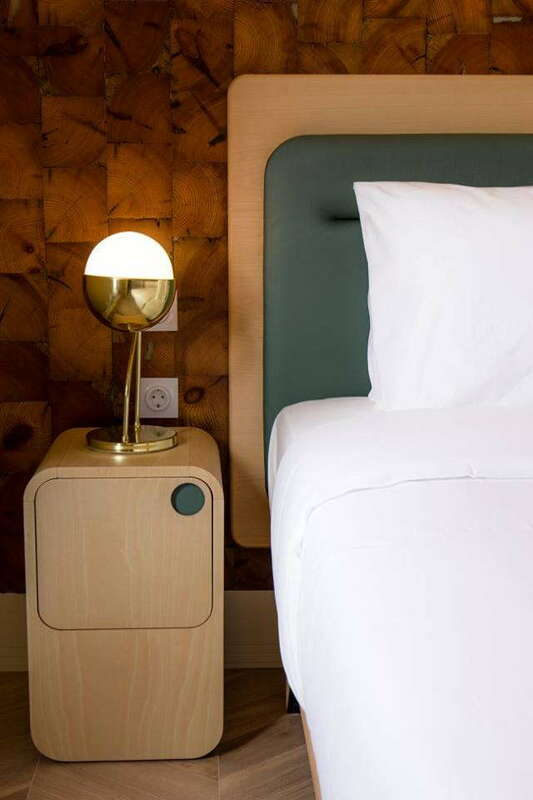 Guests at this 58-room hotel can choose from single, double or twin rooms, or upgrade to a junior suite or suite. 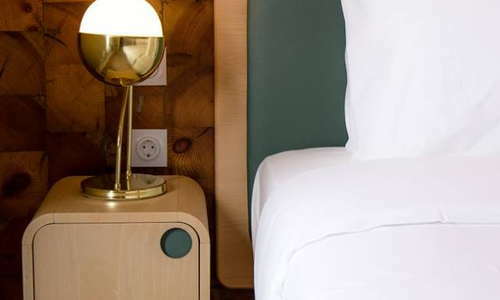 All the accommodations are light and bright, with bold blocks of color, contemporary fixtures and fittings, and mod cons such as A/C, in-room Wi-Fi, cable TV, and minibars. Some rooms have impressive views of the castle, others look onto the busy street scene below. Suites have living areas. 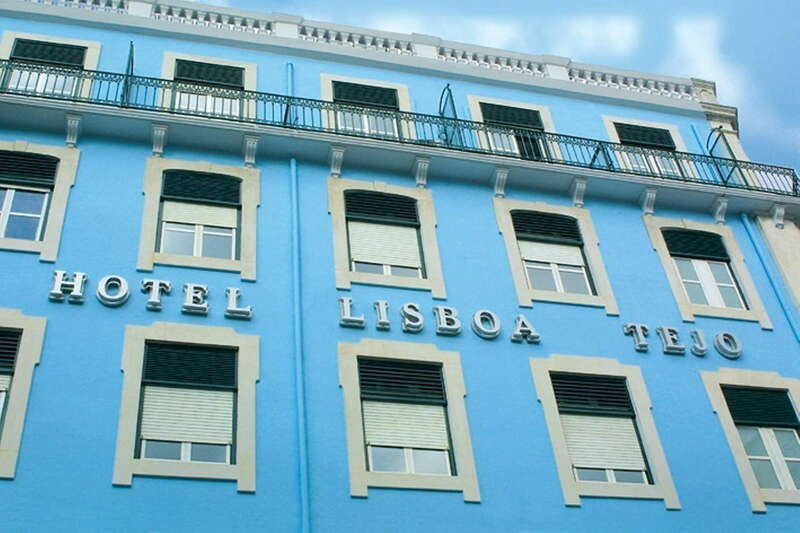 This is one of the busiest parts of Lisbon, so expect some street noise. The rooms are spread over six floors, those on the higher floors are the quietest. 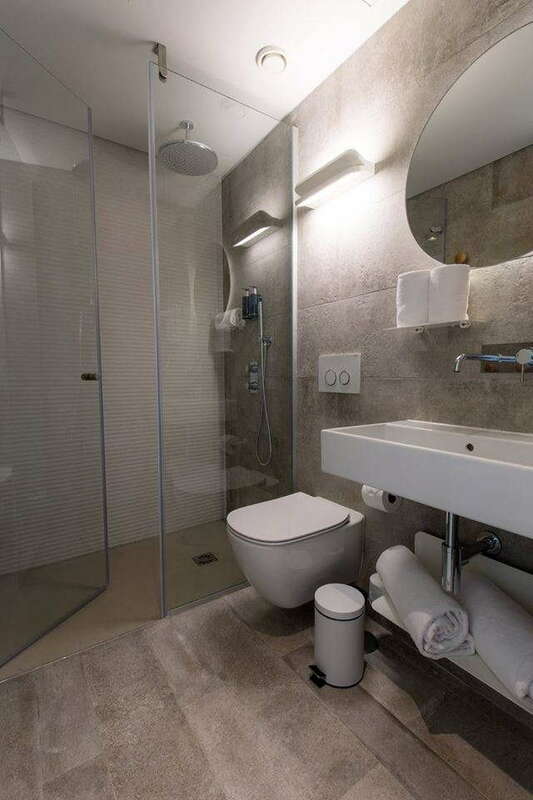 The bathrooms at Lisboa Tejo are impressive for this price category, with powerful walk-in showers (something of a rarity in Portugal) and some rooms also have tubs. Hairdryers and toiletries area also provided. The lobby area is stylishly kitted out, with exposed brick walls and low-level lighting, and a bar which, like the reception, is open 24/7. 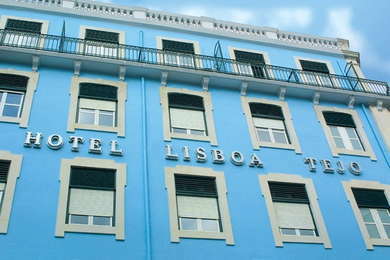 Staff are friendly, and happy to store luggage for those wanting to explore Lisbon before check-in or after checkout. Guests can grab a drink any time of day or night at the hotel's stylish bar, which is handily open round the clock. There's a vast range of cocktails, Portuguese wines and traditional liqueurs on offer, and a large lounge in which to enjoy them. 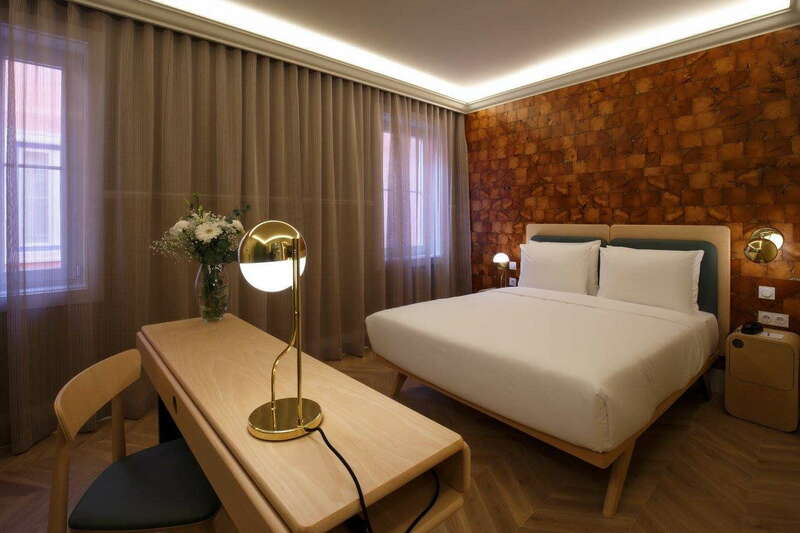 The hotel is within walking distance of most of downtown Lisbon's attractions-including the waterfront, the lively Bairro Alto and Cais do Sodre nightlife districts, historic Alfama, and the St George Castle. 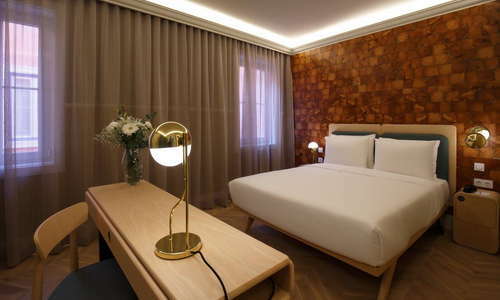 Public transport links are excellent, too: airport shuttle buses stop at Rossio, a short stroll from the hotel, and cabs for the 5-mile journey are also affordable. Rossio (Green Line) and Restauradores (Blue Line) metro stations are also just a couple of minutes' walk from the hotel, as is the grand Rossio train station, with its quick links to Sintra and Queluz. Several tram lines stop at Praça da Figueira, while the famous 28 tram, which takes in many of the city center's tourist sights on its route, departs from nearby Martim Moniz. There's no restaurant at the hotel, but with so many restaurants nearby, guests will scarcely notice. For informal eats with a lot of local flavors, dodge the mediocre tourist traps and enjoy a hearty steak bifana (pork steak sandwich) at the friendly Casa das Bifanas (2-minute walk). A little hidden from the tourist hordes, the Floresta das Escadinhas (2-minute walk) serves some of the best fish in Lisbon (including famous grilled sardines) at very fair prices. There's nightlife to suit all tastes within easy reach of the hotel. Guests can take a three-minute stroll to newly-gentrified Martim Moniz, where cocktail tents and food stands pop up on weekends. The trendiest drinking here is a little hidden though, at the top of an unassuming Commercial Building, Topo (5-minute walk) is a rooftop bar where the cool kids come to drink cocktails and admire some of the best views in the city as DJs spin a mixed bag of tunes. 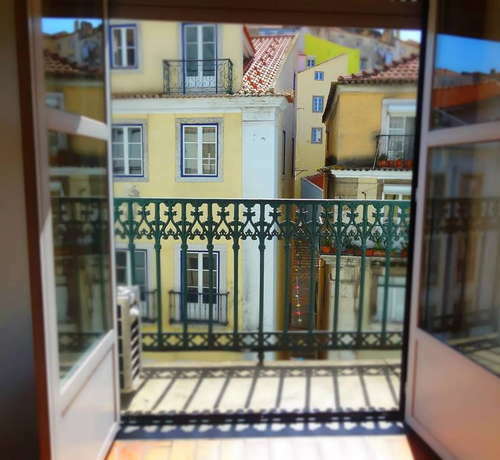 For something more traditional, guests can try excellent wines, accompanied by Oysters, at By The Wine (10-15-minute walk) in nearby Chiado, or head a little farther uphill for the many bars that line the streets of Alfama and Bairro Alto. This is a very central hotel, within easy reach of many of the city's best attractions and nightlife. The historic building will please architecture buffs, and the public transport links are excellent. The hotel is due for a major relaunch in 2018, which will boost the number of rooms and jazz up the decor.